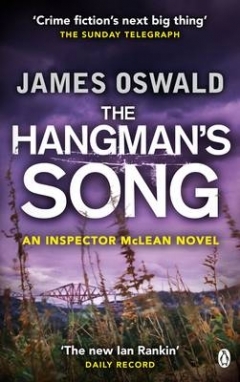 Inspector McLean is faced with a tough situation. He has been given too many tasks by his new boss to focus properly on any one of them and he is in charge of people who would rather not do their work. A series of apparent suicides that are probably homicides is one of his cases. He is also investigating the beating up of a local prostitute, as well as dealing with some personal issues with his girlfriend who is recovering from a coma. Despite not having read the book that led up to why Emma is in a coma, and why Tony is being split between too many tasks, this was a great read. I could not put the book down and even though I had an idea of how the suicides were coming about it did not detract from me wanting to get to the end of the book. Set in Edinburgh, a city I have visited, this book is one I can highly recommend. These types of books are few and far between sadly! Have not heard of the author or series, looks very good. Will pick up a copy Tandy, thanks! It’s been a while since I’ve read a crime fiction novel. It certainly sounds like a fun and quick read on a summers day while on vacation or on the weekend. Thank you for the recommendation.